It's relatively simplicity for use, practicality and utilitarianism. Its pretty easy to get things done with it, but it’s not that exciting to use at all. Very useful user controls that can make it practical and helpful for getting your work done. It's useful for the professional work setting, for sure. It's often very slow to use, and has a very displeasing aesthetics appearance. It’s not fun to use. It’s bland and boring. It just brings down my mood. I start to feel really down and depressed some times when using it because it's just not fun at all and it just makes me feel like I'm trapped in a boring office building in the 1980's while using it! Needs improvement aesthetically. These things matter too!!! Practicality doesn't have to be everything! Use it for work, but it’s not good for much else beyond just a professional setting. That's what it is best for. Beyond that, it's not aesthetically pleasing at all and I wouldn't use it if I had a choice on what to use. There's way better options out there that you would feel better while using than this, but it's very practical and great for when you're at work. It is used for emails and correspondence with students. The software is very helpful, and I like its cloud-centered interface that improves the interconnectivity of it. It's very practical and useful for work. I work across many different types of organizations. In some cases, Oracle Linux is being used for all database servers across the entire organization. In some cases, it is being selectively rolled out to replace legacy Unix systems. Plus in a few isolated cases, I've helped to replace Windows database servers with Oracle Linux. The common theme across all these different types of organizations is that they want the best Linux for running Oracle, which is pre-tuned and optimized as well as well supported by the database vendor. Oracle Linux wins hands down on these points. The operating system could be improved in its compatibility with older applications. There are fewer users of Oracle Linux than other versions, potentially making it harder to obtain outside support. Sometimes customer support from Oracle can be challenging. The software does really well in systems that work with databases. It does really well in its connectivity to Oracle database applications. It also provides a great deal of stability and can provide fairly stable functionality for remote systems that have users requiring limited assistance. Installing Oracle Linux is fairly easy and less time consuming than other Linux versions. If you are going to deploy Oracle on an Intel or AMD based server then Oracle Linux is by far your best choice. The operating system is built and packaged from the ground up to be the single best and easiest OS for running an Oracle database. But while it may be a custom solution, it's probably 98% or more the same as Redhat and CentOS from an OS admin point of view - so easy to hire resources as any Linux admin can work with Oracle Linux with almost zero changes to their existing practices. Oracle Linux has been around for more than 10 years, but has been gaining market share and the company says it has over 14,000 customers world-wide.Part of its popularity may be the way it plays well within an Oracle environment and its full support for Red Hat Linux, on which it is based.This interoperability theme is carried out through its support for the Open Stack tools for building cloud-computing platforms and its support for two different kernels. The best PRO for Linux is cost and the fact Oracle is developed on Linux. The company's Oracle Linux Support program aims to provide commercial technical support, covering Oracle Linux and existing RHEL or CentOS installations but without any certification from the former (i.e. without re-installation or re-boot clarification needed As of 2016 Oracle Linux had over 15,000 customers subscribed to the support program. Application stability and Performant OS. Always gives reliable performance even under stress. The systems are pretty standard and help with a lot of the devops style deployments to go absolutely smooth. Love the Linux community. The Oracle Repositories sometimes lack some of the nicer tools that many other Xnix systems like CentOS and Ubuntu support out-of-the-box. I did love to see them pre-packaged or atleast remain available through additional repo files. Very stable and standard Linux system. If you are looking for personal desktops choose a different flavour of Linux, but if you are looking for enterprise grade deployments this is a good choice. Several benefits - Deployment of many of our systems, playing around with new technologies are tried on OL6/OL7. Benefits are innumerably many - to brief our development, stage and prod. systems are on Oracle Linux. "Features of Oracle Linux "
Ability to quickly and efficiently deploy an environment that is ready to deploy an Oracle database Server.Administration is easy and smart of said product.Best product to deploy E-Business System and other oracle products.Good full text search functionality .oracle linux with UEK can be deployed either on physical servers or on virtual servers.oracle linux and oracle vm are optimized and well engineered to work together. With Third party application oracle linux was not adjusted able. Oracle Linux is good and smart solution for oracle databases and related oracle products . This easy and smart to administration. get better performance with business activities. "Oracle linux operating system is user friendly"
Kernel with support ASM native, it's not necessary to determine versioning ASM kernel, the repositories automatically download required versions, without dealing with license acceptance. IMHO (and professional), OEL is optimized for Oracle Products: Oracle Weblogic, Oracle DB, Oracle MySQL, Oracle Primavera, etc, but if my business don't need other Oracle products, so, I should analyze and using other distributions. Fast deployment of multiple Databases on client IT Bussiness, misconfigurations can put your data at risk, spend time and effort, OEL is faster to automated database deployments with Oracle Real Application Clusters(RAC) and PUPPET, it has helped me save a lot of time and effort. Being an Oracle database Solution Architect since 10 years, i have a preference to use Oracle products if they are really good. Oracle Linux is very well suited for Oracle products like Oracle EBS Suite and Oracle Database. Although, you can run these products on other supported OS like RedHat but certain features like smart scan for Exadata is only supported on Oracle Linux. The slow GUI. If you happen to use GUI interface of Oracle Linux, it's slow sometimes. We are using Oracle Linux for our database servers and ERP server hosting Oracle E-Business Suite. The support is pretty cheap and is fairly simple for anyone with RedHat background. "Excellent Choice For Oracle DB Servers"
Oracle Linux made installing Oracle database much less painful than other distributions. The binaries, additional support files and other Oracle related tweaks automatically get installed and, for the most part, just work. We tried other distros and while they did work Oracle Linux was far easier. If you are an Oracle shop thinking of going Oracle on Linux, I highly suggest it. Plus it's Linux so it is of course free. It is stripped and some areas of the OS are locked down. We didn't find anything stopping us from customizing or installing applications. I am assuming Oracle did this to make it what they call "unbreakable". If run Oracle I highly recommend going Linux. It is much more stable. And if you do make the jump make it Oracle Linux as all the extra what-not will be included without all the fuss. We were tired of the maintenance and licensing costs of Windows Server. Moving to Oracle Linux saved us money, time and effort. It was a true win. It's honestly quick and really easy to use. It crashes entirely too easily. I can be in the middle of an email or call and out of nowhere the entire system will crash. I'm able to multitask and meet my customers needs all at one time while keeping everything in one centralized location. "Oracle Enterprise Linux for Oracle Products"
1. Kernel with support ASM native, it's not necessary to determine versioning ASM kernel, the repositories automatically download required versions, without dealing with license acceptance. 2. Oracle DB Prerequisites is easy install with only download a packages: oracle-rdbms-server-VERSION-preinstall, it automatically downloading and installing any additional software packages, creating the user oracle and the groups oinstall, modifying kernel parameters in /etc/sysctl.conf, power off NUMA support on systems, etc, this could take hours on other operating systems. 3. Basically, OEL is tuning for optimal performance of the database MySQL and Oracle Database v11/v12. 4. And not more important, patches of Oracle Database products are released on OEL first. If you used an Oracle Product on you IT Business company, have more sense used OEL as your operating System, at least for running the databases. "A robust distro for Oracle database users"
Oracle Linux is a streamlined Linux distro without too much bloatware and is fairly fast. It has some robust features for setting up web servers, supports Oracle products, and offers kernel level security updates without requiring a reboot. Oracle offers very good technical support with a service contract. It also works with OpenStack technology. Users of Red Hat Enterprise Linux will find the OS almost identical. Oracle Linux is not the best Linux distro for working with some third party applications. It also is fairly plain and lacks some of the "extras" found in other versions of Linux. Like other Linux systems, it can be challenging to configure, especially from the back end when compared to comparable server OS systems from Microsoft. In many ways Oracle Linux is a clone or copy of Red Hat Enterprise Linux. Would be buyers may want to look at Red Hat Enterprise Linux instead. It offers the same features and greater levels of compatibility with other applications. As a basic enterprise level OS, the Linux distro has been a great use for basic networking needs without the higher costs of a Windows Server OS. Its similarity to Red Hat Linux is also an added plus. "Power of Linux with Support from Oracle"
Oracle Linux is an enterprise level distro with support of Oracle behind. The power of Oracle Linux comes from popular Oracle software stack including databases, management tools and middleware. Stability, zero-down time updates, global commercial support and GNOME interface are the best features about Oracle Linux. Oracle Linux seems to be focused for Oracle products. Limited support and restrictions for 3rd party applications is an obstacle. When I compare Redhat and Oracle Linux, Redhat seems to be more versatile to me. Do not try to deal with critical operations alone, get an enterprise Linux distro and benefit from expert experiences. Oracle Linux is a big family with many members, trainings, conferences and certifications. Being a part of a big family saves a lot time for you with their endless support. Oracle Linux is a stable operating system designed for critical operations. We have been using Oracle Linux for last 2 years for our payment operations which requires zero downtime. Oracle Linux is also a well supported operating system, Oracle team is always ready to help when things go wrong. Good to use, pretty easy and simple to implement and understand. This product is probably one of the cheapest options that you can go for as well which makes it a good selling point and definitely one of the better options to choose from. With the simplicity of the Oracle Linux, it makes it better to integrate to users that may be new to the product or into the industry. It also is a very stable product, haven't really had any problems so far with it. The GUI is so outdated, would make for a better one if they were to update it to look a lot more modern even though its purpose is to give the user practicality, but in doing so, it just doesn't look nice. If you are one for productivity, this is definitely a tool that you want to be using, it offers the user a reliable and stable platform to be working from, despite the GUI looking outdated, then this is definitely a product that I would recommend you to use. Very stable, able to use without a lot of problems, very affordable for the user, meaning that you don't have to go to a lot of expense to use a great system. "My experience with Oracle Linux"
I really enjoyed the simplicity. When you use other kind of OS like Windows or Mac, you are most likely full of bloatware. Oracle Linux provides you just what you need, and the tools to make your computer a great workspace. You're always gonna feel like this OS was built for Oracle products, I dislike the GUI(feels antiquated). If you're looking for a Linux operating system only for entertainment or for personal use, then go for another Operating System. But, if you're looking for an OS focused on productivity, on an IT-Business company, then this is for you. As a Web and Software Developer, a Linux system is a must. So far Oracle Linux has been performing great. I need to have full control of my machine when debugging Software, and Oracle Linux does that right. I feel secure due to the stability of this Operative System. I loved how simple is it. if you compare it to other Linux Distros(more popular such as Ubuntu, linux Mint, etc), it is much lightweight. It is easy to use, and really makes it simple to develop on Oracle Products. I do not like how the GUI seems to be a lot OLD. I understand the point of the OS, it is to make you productive, yet I believe a beautiful Graphic User Interface wouldn't come bad. Do not download it if it's not for an Oracle reason. I only used it for the certifications and to make some software using Oracle's APIs. As a Software Engineer, I was preparing for the Oracle certifications, and they recommended me to get this Linux Distro. I'm not aware of many technical things about this OS, but it came very handy during the practice process. Easy to use, upgrade and secured. Patch upgrades are simple. Normal linux commands works. No GUI interaction so developer needs terminal use habit (though it's common for unix systems). Try out it. Best for app servers. "Oracle Linux a must have OS Choice"
The operating system is built and packaged from the ground up to be the single best and easiest OS for running an Oracle database. It is binary compatible with RedHat and existing RedHat installs can be converted to Oracle Linux with only updating 2-3 RPMs and can be done live without a reboot. In addition, Oracle Linux support comes free with our Oracle/Sun X86 hardware. We've saved a considerable amount of money on support by switching. Support requires using Oracle's Support Portal (MOS), which is not very intuitive and is showing it's age. Often times a Google search yields much better and faster results than engaging Oracle Support or using MOS. If you are using or plan to use Oracle X86 hardware, Oracle Linux will eliminate your need for a separate software support contract. RPMS designed for RedHat will work on Oracle Linux as there is only a 2-3 rpm difference between them. We have been using and paying for RedHat support for many years and rarely open a case with them. This resulted in wasted money. We also utilize Oracle X86 hardware which comes with Oracle Linux support included. We've been able to completely eliminate our RedHat support costs. "Oracle Linux best Linux for Oracle databases"
Oracle Enterprise Linux comes with additional optimizations to maximize Oracle performance and stability. Plus the distro already inlcudes all the best RPM's one would have to manually find and install on other Linux distro's. Plus Oracle Linux comes with complete ASM support already built in. Again less work to get things setup and working. Some generic utility RPM's (e.g. bleachbit) do not install properly all the time. Sometimes it takes a little work or waiting for the RPM to get updated. If you want Oracle to run optimally on your hardware then Oracle Enterprise Linux is your best choice. The cost is also very attractive. Plus Oracle Linux stays in sync with any and all Oracle requirements. For example ASM support is native and reliable/stable. Other distros put the onus of extra work on you to get things working. We run all our Oracle databases on Oracle Entreprise Linux. It has allowed us to standardize on a stable and highly performant platform that is easy to adminster for Oracle databases. I installed Oracle Linux as an alternative to RHEL and CentOS for workstation purposes. I like 100% binary compatibility, kernel that is much newer than in CentOS, overall quality and that it is possible to run Oracle as desktop not only server. Because kernel is very fresh I think that there should be an option to install latest GUI like KDE Plasma 5, most people run Oracle without gui as a server but for desktop I do't think that It will ruin the stability. It would be nice to have older and newer options. It will be good for newcomers. Solid base for many of my software. Increased efficiency and stability. "The Oracle team is great!" While the software I worked with was customer service based and awesome! The Oracle team showed great customer service to my team as well! They wanted to know when we had problems and even came out to see us, working with us on what we can fix and change. The program itself helped us stay organized and in touch with clientele. The layout was a tad bit outdated, that needed work. Staying in touch with our customers via email and Contact Us from the site. "Oracle linix from a DBA perspective"
I have been working as an oracle dba since 2011, i have worked with several OS like IBM Aix , hpux, redhat but I tottally preffer Oracle Linux because all the prerrequisites are already installed. Oracle dbms hosting, its faster to deploy an on premise oracle db in oracle linux than any other OS. "Perfect Solution for testing virtualized samples"
We Used this software to run virtualized solutions from oracle. Oracle Linux was easy to install and setup and in a couple of hours we were running the application that we needed to evaluate. Since everything was fine, we used this solution to setup our development environment. "Stability and security of Oracle Linux"
I like how flexible it is to create commands and use them in configuring and using Oracle Database 10. I tried using Oracle 10g on Windows, but it's not as flexible as Oracle Solaris. The aspect of learning so many commands can be tiring; its hard to work around some concepts if you are not familiar with the necessary commands. I wanted to scale the nodes of my company's network. Since Oracle Linux is optimized for performance, it is easy to scale very easily. The exception is only when I use RAC. I have to tune based on the nodes I am working with. As a beginner, Everyone will find it user friendly if you are starting it as a new software. 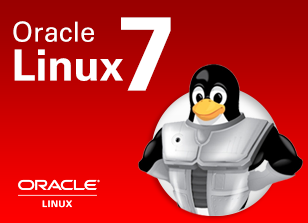 Oracle Linux is easy in every step and easy to download without any licensing formalities. I have worked on the steps of it and different versions which is easy for anyone to operate. Freaking slow sometimes. Though it is very nice in other ways but the pace is slow which makes it run in lot of time. Super friendly for the fresher's and also the cloud part of Oracle linux is amazing. I deploy it at my client's location and used it to give training on the same at client's place. "Secure database software on Linux"
Oracle is one of the most recognized database software world wide. It runs on effectively on the Linux operating system and easy to use. It uses the structure query language (SQL) as a means of querying details. its a good software and I would recommend companies to use it. the ease of use, and straightforward interface. love its stability. Don't be afraid to ask questions. It will benefit you in the long run and allow you to be more knowledgeable about the program as a whole. Highly recommended! One of the greatest attributes is the fact that it is that it is open source, and access to help and user groups is much more readily available. Initially, it was very glitchy with Java. It has since had updates, and has helped to make interaction between the two much more tolerable. Much more efficiency on use, which allows for analysis, completion of projects on a faster timeline. Having 24/7 access for support is huge as well, to assist in troubleshooting. it is for high-end professional skills. like creating a program for engineering work. it is not easy to use it is complex compared to other operating systems. It is a nice operating system. What I like best about Oracle Linux is the reliability of the server. It has great hardware compatibility with some of the top products as well. It also lowers costs for our company. Linux is getting a little dated and we are thinking about switching to Exadata within the next few years. Oracle Linux is great as a simple solution for storing files. Linux server is used to keep scripts and files sent in from trading partners. I do not have any negative points as i find this operating system the best. I would personally suggest others and my clients to go for this. It should be fully secured, not allowing any intruders to hack our system. I think security wise I felt its really very good. "Oracle linux is powerful and user friendly"
It comes in easy functioning and easy to implement. As a new user, you can save a lot of time in learning it an quick implementation while you just joined as a newbie in system..
Somtimes takes a lot of time in functioning properly. Sometimes customer support is challenging. Its good and easy for the beginners and cloud is amazing. I worked on it for just 2-3 months and as a user, I liked the cloud centered interface of it. Most of the product development companies and developer communities support Linux operating system which give lot of option to implement. Oracle Linux of virtual machines are bit slow. "a business-centered take on classic linux"
built in business ready tools sets this os apart from most others. ex: oracle has built in accounting software that makes buying programs to help with that unnecessary. whatever you are using it for linux in general is generally lighter and faster than its competitors. adding a suite of business tools as oracle did is just icing on the cake. Take a training class and use often! "unparalleled support of Oracle team makes it possible." I feel Oracle Linux almost equal to Red Hat Enterprise Linux with regard to features and installation procedures. But with the support we receive from Oracle it surpasses Red Hat and I really appreciate Oracle team for that. Oracle team didn't do much development other than introducing some debugging and trouble shooting in ream time. This catches the eyes of the experienced users, that what could be the use to switch to Oracle Linux. you can try it. You will like for sure. Like I mentioned some debugging and troubleshooting the issues in real time. The support we receive from the team is unparalleled. "It's similar to Red Hat/CentOS but with extra features"
Free updates. No registration required. They just work. It has some extra features on top of what you get with CentOS. One of them - UEK kernel. It's newer than the RH compatible one. Oracle has very special reputation and because of this a lot of potential users do not want to try it. If you want to use CentOS - then Oracle Linux can be a better choise. "Great products; weak IT support"
Oracle offers a lot of great software and systems, however, there are a lot of products that are rolled out without solutions to possible technical difficulties. See above, IT support needs better and more constant communication. Make sure your IT team has a good relationship with Oracle! Faster, efficient day-to-day business processes which in turn creates more positive experiences for our hotel guests. My favorite features are it's open source and being hotested off site. Seems like a bit of a knockoff of redhat who might still be doing it better. Getting our storage off site. Less manpower and real estate required to support our mission critical data. reliable. and easy to use , easy for integration. it is difficult to find related document . Simple to use, Server Capabilities. Has CentOS capabilities built in to provide virtual PC machine without much difficulty. Expensive and doesn't offer much more than REHL does. "The right Linux for Oracle workloads"
Separate sales channels for Oracle Linux from Oracle proper. Lots of rookies in the sales group. We are using OEL foe ease of installation and support of our Oracle workloads for things that are not on ExaData. Stripped down, high performance, reliable OS. A distribution of Ref Hat, so no real dislikes. Great fir running their RDBMS. "Linux oracle vs red hat"
Orcale Linux is as good as red hat linux. Some of the packages are not as up to date. I use oracle linux day to day for SW development. * We monitor all Oracle Linux reviews to prevent fraudulent reviews and keep review quality high. We do not post reviews by company employees or direct competitors. Validated reviews require the user to submit a screenshot of the product containing their user ID, in order to verify a user is an actual user of the product. Hi there! Are you looking to implement a solution like Oracle Linux?